So, here is a “Learning Curve” for all parents to teach their sons and daughters about success, determination and achieving your goals. 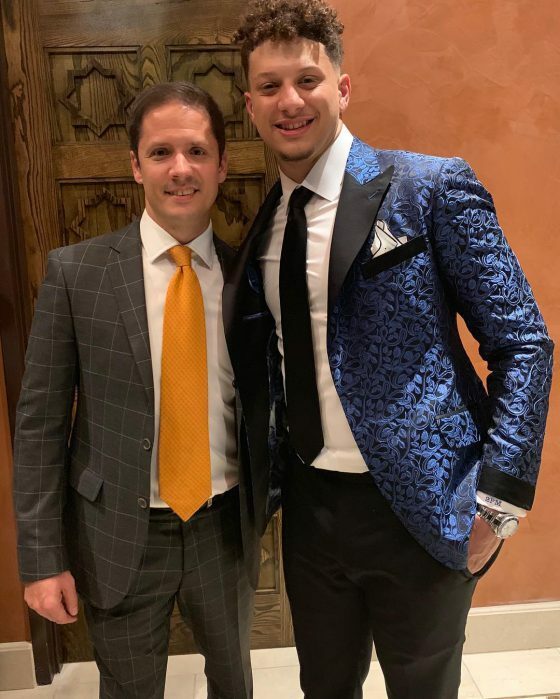 Congratulations to my law partner, Chris Cabott; longtime friend and client Lee Steinberg, and of course first year starter QB of the Kansas City Chiefs Patrick Mahomes who just won Offensive Player of the Year and MVP of the National Football League. Success such as this comes from dreaming but working, achieving, and putting the team of mentors, coaches, parents, etc. around you who care. Achieving is not limited to only athletes but I remember when 18 years ago Chris as an intern told me he wanted to be an entertainment sports attorney. So having a goal, working hard, putting in a team effort and never stopping allowed him to reach his goal of being among the elite sports attorneys and agents. I think we can all learn from the success of these fine young men.